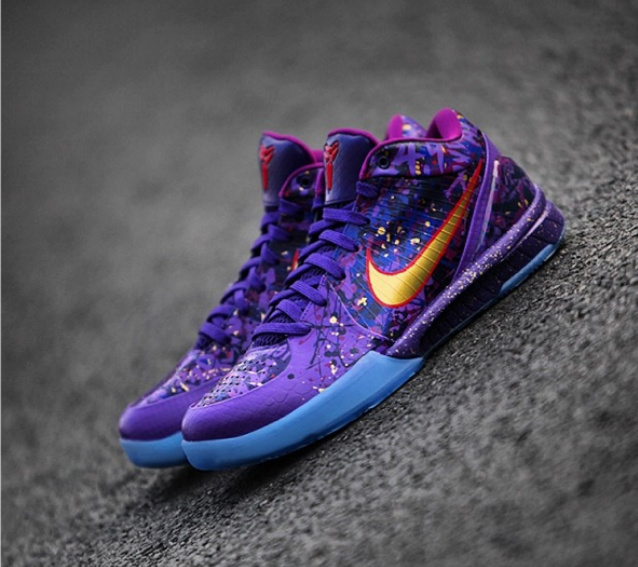 The fourth chapter in the Nike Kobe Prelude series pays homage to Kobe Bryant’s first NBA Finals MVP in 2009. 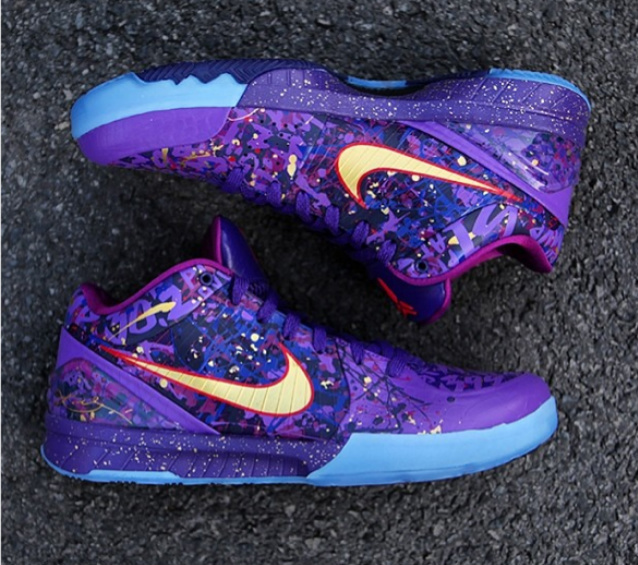 The colorway takes on a Purple upper accented in paint spots that display gold and red, finished off with a blue sole. If you’ve been keeping up with the entire pack so far, this is surely a highlight colorway you don’t want to miss. 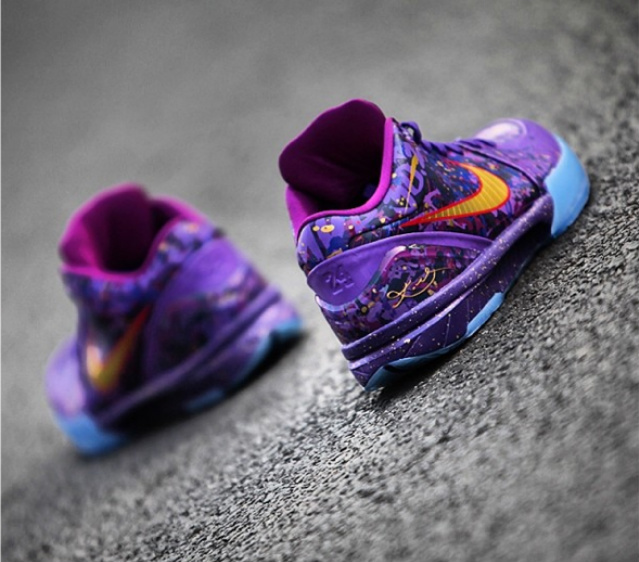 The Kobe 4 “Prelude” drops on the 28th of this month so let us know if you’ll be picking them up! these are nice..fav is the preludeV..not bad thou..rather have finals road in the iv thou! good looks thou! for me it is the V and iv..not feelin the other models thou the vi is my fav kb model by far just not feeling the cw in the pack!